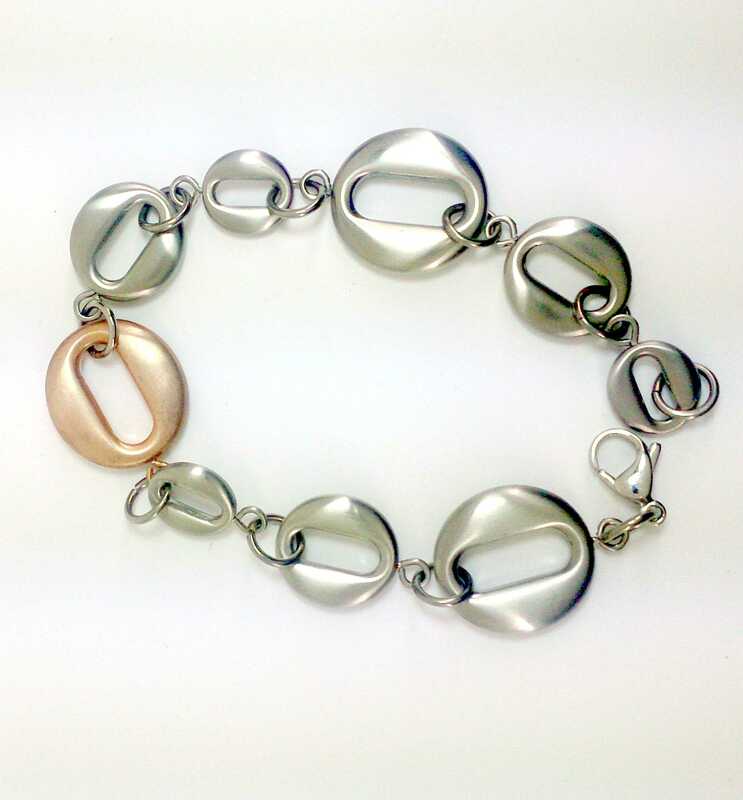 PRETTY DILOY BRAND BRACELET MADE OF STEEL WITH A ROSE GOLD PLATED ESLAVON. CARRIES A STAINLESS STEEL CARABINER AS BROOCH. HAS A LENGTH OF 20 CM AND A WIDTH OF 2 CM.